You've heard of pro golf, pro basketball and football...but how about Pro Grocery Bagging? 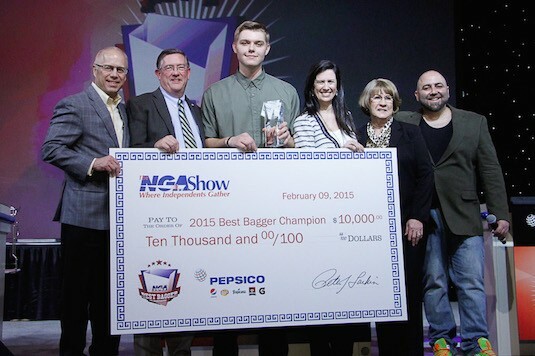 Every year, the National Grocers Association (NGA) hosts their yearly grocery bagging face off in Las Vegas where baggers from all over the country can compete for $10,000 and the coveted "Golden Grocery Bag" trophy. This year's reigning champion just so happens to be Rosauers employee and Spokane native David Tochinskiy. In between attending classes at SFCC, David amped up his skills at Rosauers in the time since competing in Vegas last year and it clearly paid off for the young man, who works at the chain's Five-Mile store.